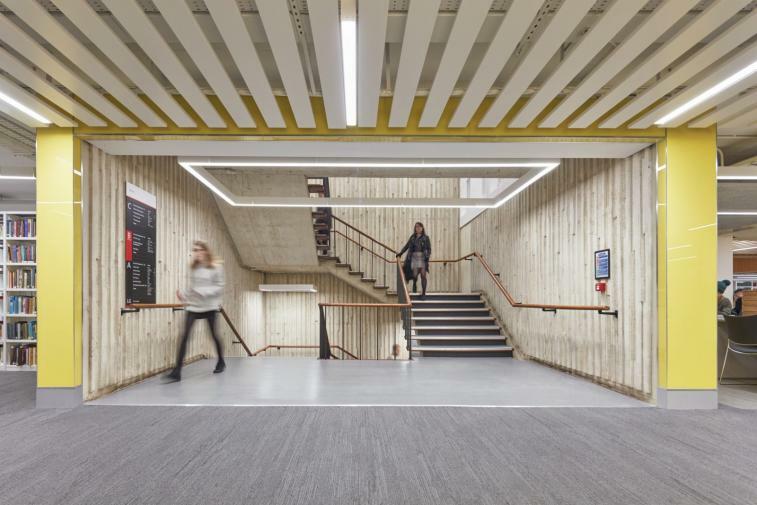 Sheppard Robson addressed these challenges by restructuring the floor plates to create open spaces that encourage connectivity and improved navigation. The new floorplates position formal study space around the perimeter of the building, allowing students to benefit from natural light. 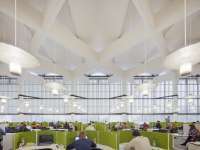 Book shelves housing the university’s collection of over 800,000 volumes have been repositioned between the perimeter and core, accommodating different areas for focused study. 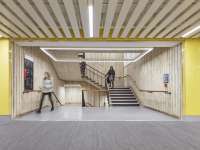 A services ‘spine’ has been created at the centre of the building relocating for the first time almost all delivery services into one place and creating a clear and legible structure to each floor. 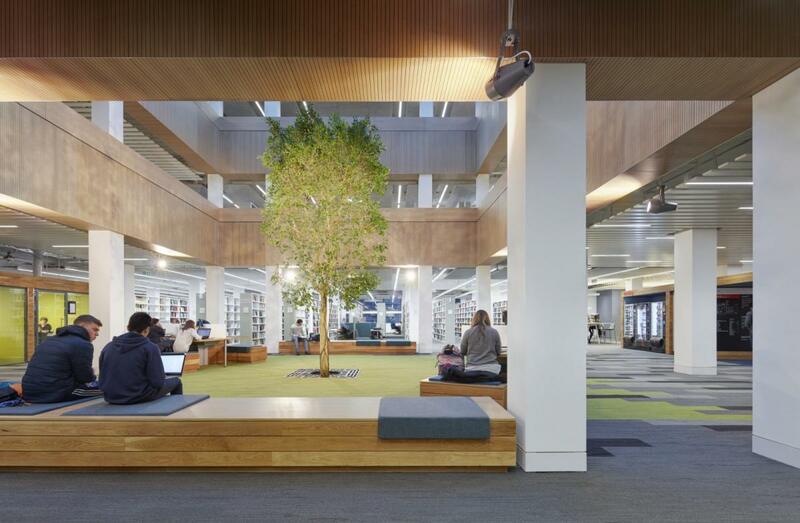 With libraries in a state of flux between digital resources and books, and with the demand increasing for different type of learning spaces - from formal to collaborative, consultation with stakeholders was of vital importance in underpinning key design decisions. Sheppard Robson and its interior design team ID:SR met with over 500 people, including undergraduate and postgraduate students, staff, members of the faculty and maintenance staff. 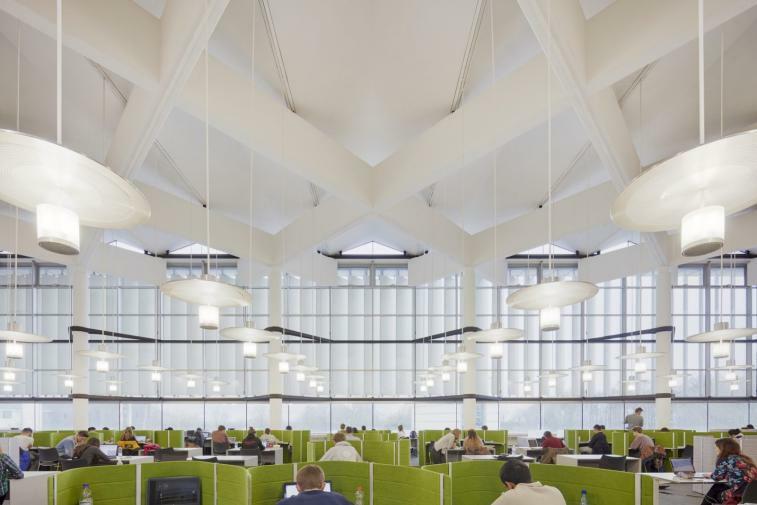 This has very tangible result on the design outcome and shaped the decision to dedicate 60% of space to formal study, 25% of space to informal individual study and 15% of space to group study areas. The consultation process also led the decision to not have a traditional reception desk, instead placing emphasis on a clear, intuitive navigation system and interactive screens. 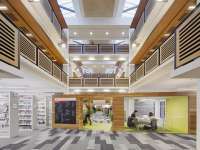 Partner Alex Solk comments that: “It is fantastic to walk through Alexandra Square on the campus and see the library now re-established at the heart of the University with research and learning on display. 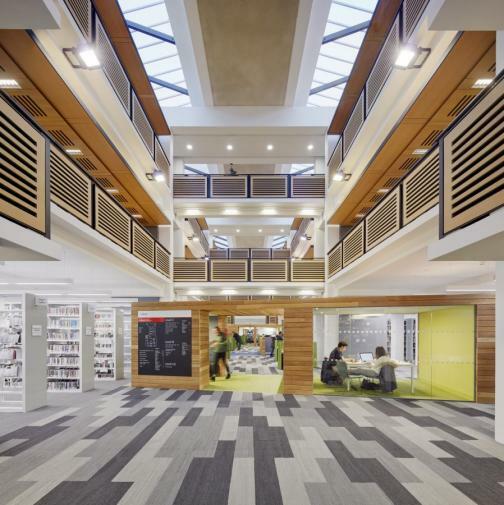 At a University that is highly rated for its research and teaching it was so important for us to deliver a library space that provides for serious study, leaving other amenities on campus to provide for further aspects of University life”.